If you'd like some help from an Independent Funeral director in choosing a funeral plan you're in the right place. 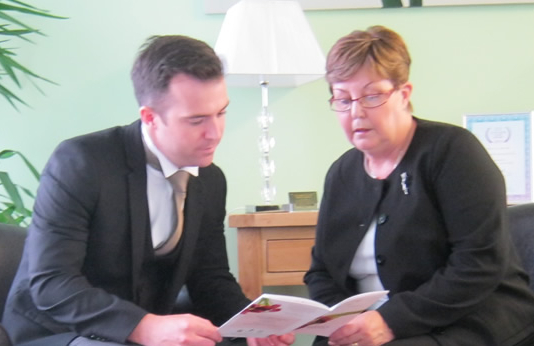 We're a respected independent family funeral director with vast experience in funeral planning. Use our form on this page or the button below to contact us. Your local independent funeral director, we have built our reputation on providing the very best of care and attention to detail for your loved one at a time when only the best will do. On our Funeral Planning website you will find answers to your questions about purchasing a Funeral Plan with us. "I'm so pleased with the plan that at every opportunity I will tell my friends. It's the sensible thing to do and very easy. I would recommend it to anyone." Our pre-payment funeral plan provider, Ecclesiastical Planning Services, along with the Ecclesiastical Group, gives available profits to good causes via its charitable owner, making a positive difference to the communities in which we all live and work. Find out more by watching our short video.